An Up to $7,500 Tax Credit for the Elderly and Disabled – Hall Law Firm, P.C. Low-income seniors and people with disabilities may be missing out on a tax credit that could reduce their tax liability by up to $7,500 this tax season. To qualify for the Senior Tax Credit for the Elderly and Disabled, individuals must either be above age 65 or retired early due to a qualifying disability and have taxable disability income. Unlike a deduction, which reduces one’s overall taxable income, to benefit from a tax credit the individual must owe taxes in the given year and then the tax credit reduces their overall tax liability, dollar for dollar. To determine whether a taxpayer qualifies for the under-65 category, the Internal Revenue Service (IRS) uses the Social Security Administration’s definition of disabled. This requires that the person be unable to engage in “any substantial gainful activity,” generally meaning they are unable to work due to a physical or mental condition expected to last longer than 12 months. However, for the purposes of the tax credit, the person does not need to be receiving Social Security disability benefits, provided they accompany their request for the tax credit with a letter from a qualified physician, attesting to the person’s disability. However, the taxpayer must have disability income paid under their employer’s accident, health or pension plan. In addition, the tax filer’s income must fall under maximum income limits, which are quite low. As detailed in IRS Publication 524, the maximum adjusted gross income for individuals is $17,500, or $25,000 if filing jointly and both spouses fall under the maximum amount for single filers. People are also ineligible if they receive non-taxable Social Security income, or nontaxable pensions, annuities or disability income above a certain amount. For single filers, the maximum income permitted under this category is just $5,000, or $7,500 if filing jointly and both spouses are below the $5,000 threshold. The only other requirement is that the person be a U.S. citizen, or a permanent resident and married to a U.S. citizen. 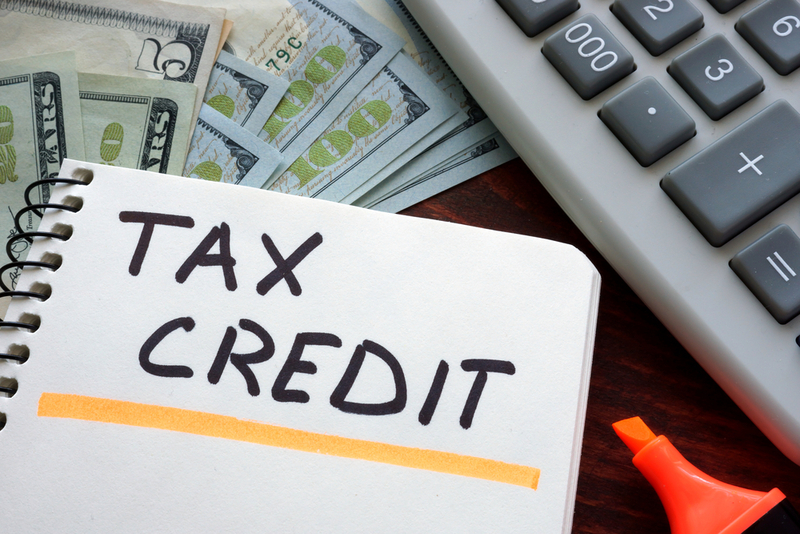 If a taxpayer is eligible, the tax credit ranges from $3,500 to $7,500. The credit, however, cannot result in the tax filer receiving a tax refund. For example, if a person owes $2,000 and is found eligible for the tax credit in the amount of $4,000, the person’s tax liability will simply be reduced to $0; it will not result in the person receiving an additional $2,000 tax refund. Click here to read IRS Publication 524.